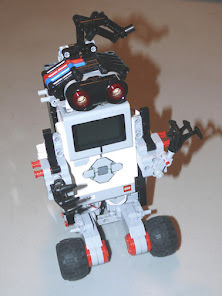 The original WeDo Resource Set introduced 1st-3rd-grade kids to the world of robotics. 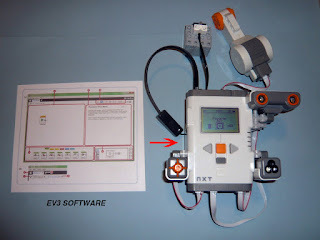 The one thing I did not like about it, is that the robot had to stay connected, by wire, to the computer. 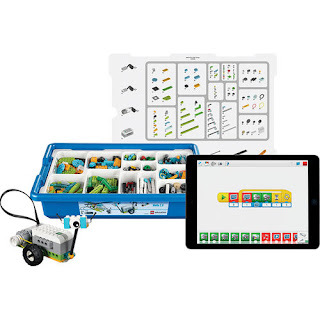 With the introduction of WeDo 2.0 Core Set, Bluetooth frees the robot from the computer. It is also more versatile with the use of tablets, as well as computers. For those of you who might be considering LEGO's WeDo 2.0 Core Set, you will find that it is a good platform for Grades K-4 and a good introduction to robotics for the older students who are starting to explore the world of robotics. 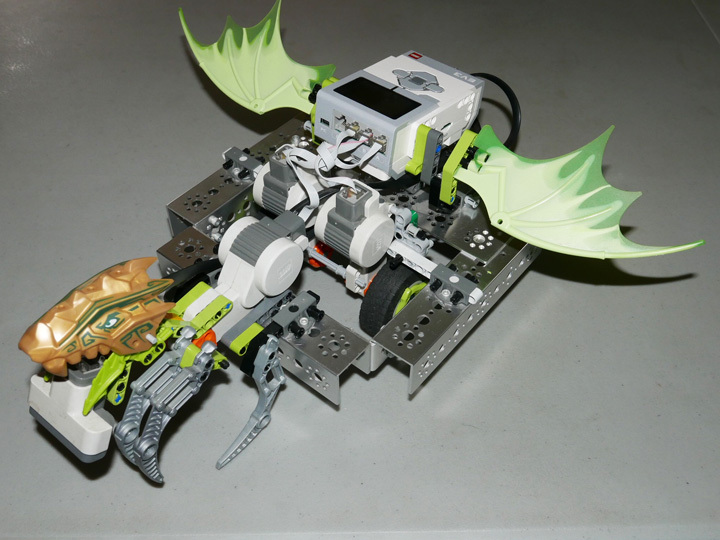 It is a natural lead into LEGO Mindstorms robotics. 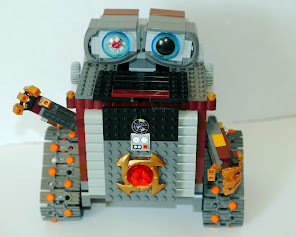 So, the Brics~2~Bots engineers have been tinkering with the WeDo 2.0 set and have made some interesting discoveries. If you haven’t seen the Smarthub yet, it does not have a display screen or speakers like the NXT or EV3 Controllers. 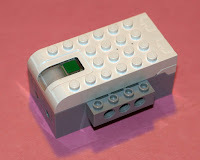 However, it does have programming/coding blocks for both sound and display; the sound is played and the display is seen through your tablet/computer. As you may or may not know, the Smarthub has only 2 Input/Outs for motors and/or sensors. So it really doesn’t matter which Input/Output you use. When 2 motors are connected 1 Smarthub, both motors are programmed by the same motor block. Also, when 2 of the same sensors are connected, both sensors are programmed by the same sensor block and either one will respond. Now, if 3 SmartHubs (the Max. is 3 and you can edit and label each by pressing the hub icon) are paired with/connected to one device (tablet/computer), one or simultaneously executed program strings will control all 3 Smarthubs at the same time. Any sensor from any of the Smarthubs can receive input and all motors respond. So one tablet/computer can be paired with Smarthub A and Smarthub B at the same time running the same program string(s). This is a handy titbit when testing the effectiveness of a design model to another using the exact same program string - a side by side comparison, which we did when we compared a Pulley driven vehicle to a Differential Gearing driven vehicle. In order to control two or more Smarthub models separately, you will need two or more devices (tablets/computers). Each model will be paired with one device and the program strings on that device will only affect the model paired with that device. How does the number (seconds) input relate to the actual motor rotation with the motor using a Power of 1? 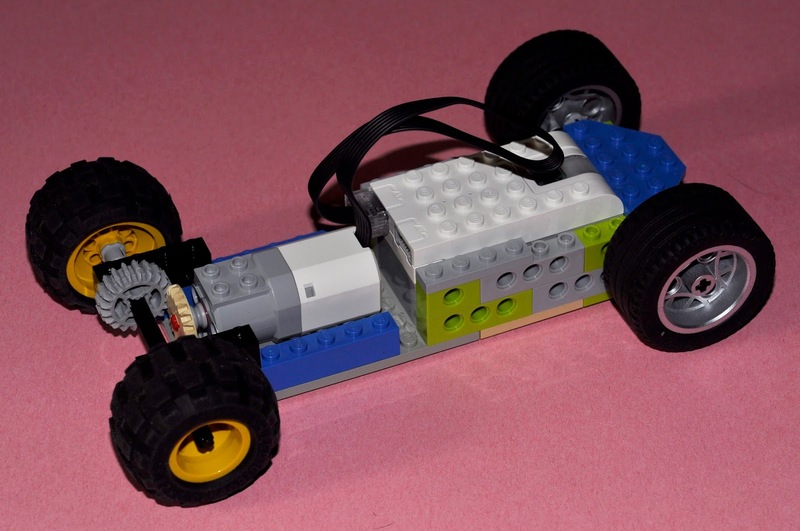 We built two cars, a pulley driven car and a gearing driven car. 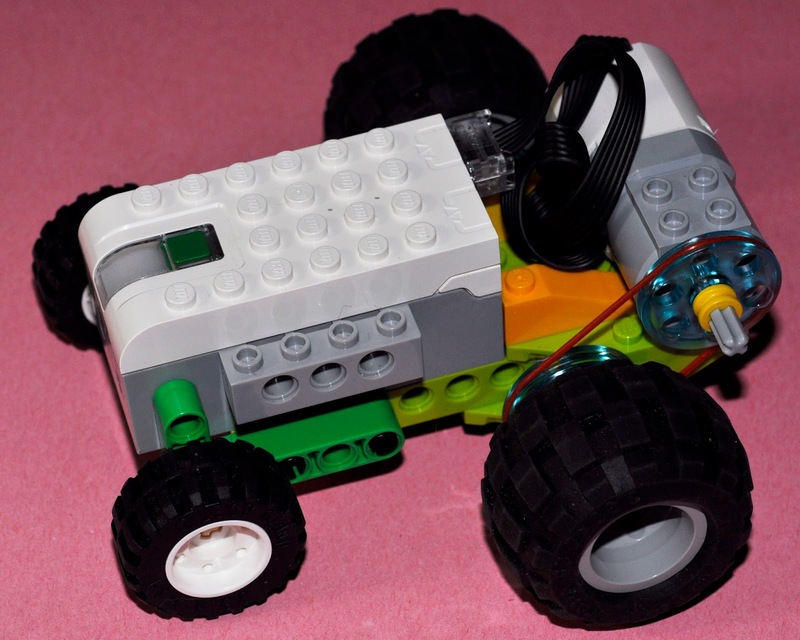 Note: When inputting the power of a motor, the maximum power is about 20, even though you can input a larger number. Next, we did a test comparison on the performance of the same pulley driven car to the gearing car, comparing the distance traveled using two extreme Power settings of 1 and 9. The cars were tested for various durations (seconds) inputs. 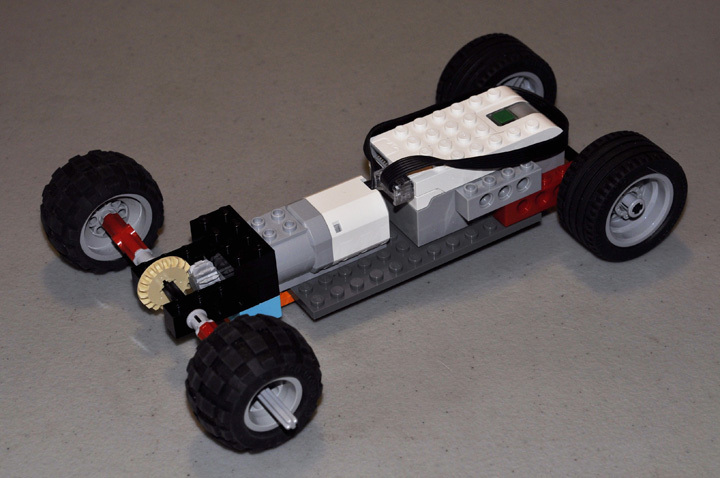 Our hypothesis was that the gearing driven car would perform better. As you can see from the data, the pulley driven car did not travel as far as the gearing driven car. Our conclusion: The gearing driven car, based on the observations, performances better by going faster, further, and straighter than the pulley driven car. We believe the gearing has more clutch/grip so its performance is more accurate and consistent; whereas the pulley driven system might tend to slip, particular with wear the rubber band will stretch slightly resulting in slippage. Also, with the pulley driven system, one has to make sure the car/vehicle is balanced from side to side, otherwise it will have a tendency to drift to the weighted side of the vehicle. We also found that the tension of the rubber band has to be exact and after some use it loses its tension and will cause slippage; direct connection to the motor or use of gearing is definitely better.